Making healthy choices when you are on the go as much as I am is hard. 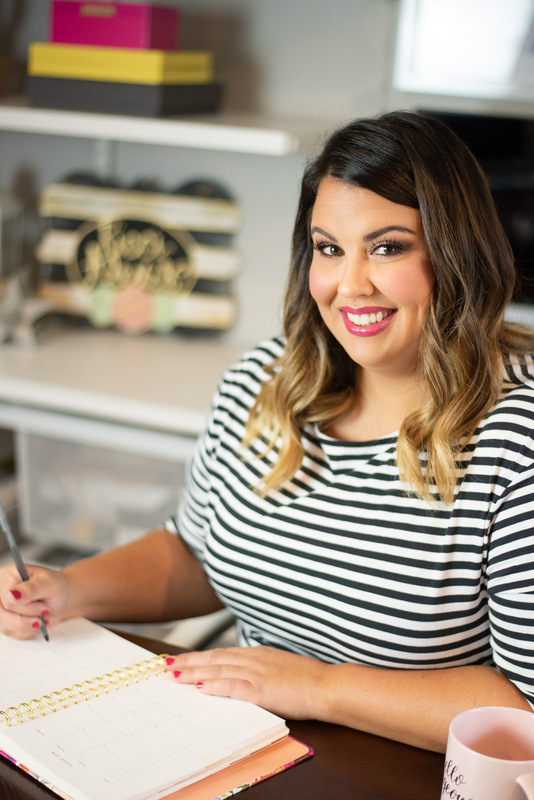 I always plan on meal planning and packing my breakfast, lunch, and snacks for work but somehow that only happens about 25% of the time. I work at a hospital and so when I go to work I am gone from 5:45am until 7:30pm. That means I have to plan out ALL my meals for the day and let’s face it, when you are dog tired from a tough work day going through the drive through on your way home sounds a lot better than driving home, letting the dog out, changing clothes, etc and not eating until 8:30 or 9. I was in a similar situation last week and decided to stop by the McDonald’s by my house and grab something quick and as I was scouring the menu (I had decided to get something different than my usual Quarter Pounder with Cheese) I saw that McDonalds is carrying salads now. I was intrigued so I ordered one. I went with the Southwest Salad with grilled chicken, Ranch dressing, and a bottle of water. I am a huge fan of Ranch dressing, LOL! McDonalds serves Newman’s Own dressings which I really like because it tastes good and all of the after-tax profits go straight to charity. Pretty amazing, right? This may not be the prettiest after surviving my driving but it tasted delicious!! According to McDonalds it has “slices of tender chicken breast filet, mixed greens, fire-roasted corn, savory black beans, roasted tomatoes and poblano peppers. Sprinkled with cheddar and jack cheeses, chili-lime tortilla strips, a fresh-sliced lime wedge and served with Newman’s Own Southwest Dressing.”. Y’all. This salad is where it’s at!! I was pretty hungry by the time I got home and this salad seriously filled me up. I love all of the flavors and textures and the chicken was amazing! I haven’t been good about eating all of my veggies lately but each premium McDonalds salad contains about three cups of veggies so I think I pretty much crushed it in the veggie department. Not too shabby! I love that the whole thing is only 520 calories including dressing, most of my fave fast food salads are 1000+ calories including dressing. It also has tons of protein so that will keep me fuller longer. I will definitely be getting this salad again and I won’t feel guilty about getting fast food on my home. Have you tried McDonalds salads? Which one is your favorite? 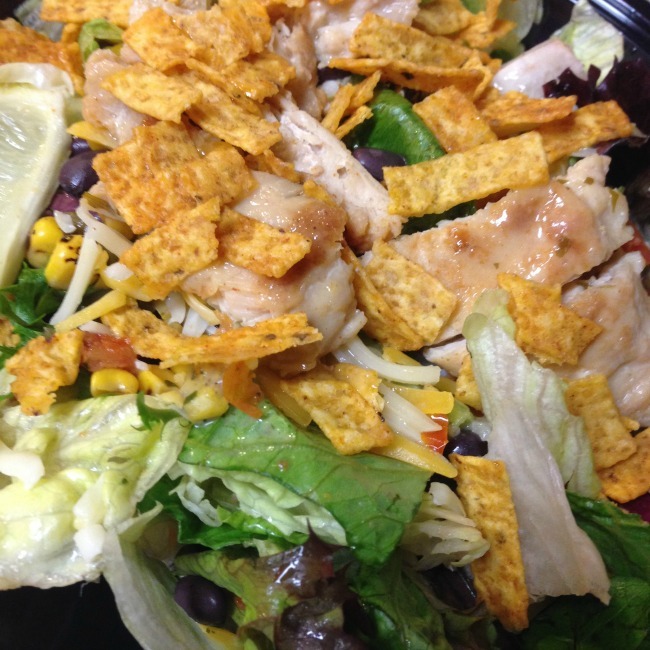 i’be been eating this Southwest salad (minus the chicken) for about twelve years! It’s my fave item on The McD’s menu. The dressing is amazing. Good job! Nothing worse than being a little Hangry, at a drive-thru, late at night, ha! You made a great choice!! It’s a really good option. My kid love McD’s so if we go this is what I get. I have never had a salad from McDonald’s before. That Southwest Salad sure does look good! That looks delicious! The calorie count isn’t terrible for a fast food salad, either. Thanks! Yep! I’ve tried them. This one is my favorite out of all of them. I always crave this one. I get one of these at least once a month. I love them for some reason and they are the perfect lite lunch when I’m on the go. Taco salads are my weakness…although I much prefer making my own, this one looks good! I’ve been eating the southwest salad for a long time and I love it. I always have them hold the chicken. :) I’m so glad that there is healthy fast food options. I love Newman’s Own salad dressing. I would probably enjoy that too, I have tried their salad before and liked it! I used to eat McDonald’s salads, and they were really good. It’s easy to have healthy options at McDonalds, you just have to be open to trying them. Great post! I tend to order salads whenever we make it to fast food restaurants. I should really try this one out. I will fully admit, I gave up McDonalds quite some time ago. There’s one within walking distance of our house, but it was a personal decision. That being said, that salad does look pretty good. I have mean meaning to try this salad. I will definitely order it next time I’m there for lunch. Ok this is a new salad to me lol…. As much as I hate to admit it, I like me some mc Donald’s lol…. I will have to try one of these out! 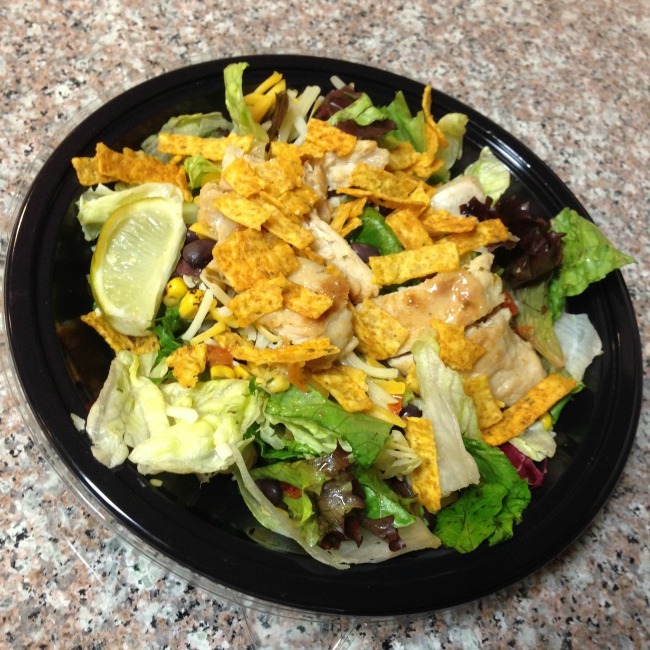 Nothing like a little crunch when enjoying a salad. Those strips make for one tasty salad! I would get this without dressing, that’s a ton less calories; though it isn’t that bad! I haven’t eaten the salads before but I’ve thought about it. I love that you can find all the nutrition information on it! I always struggle to find a low calorie meal when we are on the go! This looks great to grab from McDonalds! I used to love the salads there years ago. I wonder if they will come back to the UK! If so, I’ll be buying again! I love the southwest salad at McDonalds. It is pretty much the thing I stick to on their menu. I love the spice of the dressing yummy! I really like that salad. It tastes so good and has a lot of protein! I honestly haven’t tried their salads yet.But I certainly want to try now. Your photos got me. This salad looks delicious, unfortunately I gave up McDonald’s awhile ago. But thank you for sharing. Hey Ricci – I was surprised when I saw that McDonalds had some great tasting and healthy looking salads – thanks for sharing the ingredients and calories count! I’ll admit I don’t usual look at my salad options at Mcdonalds anymore after trying one and not like it many years ago. I do however tend to have the Chicken Caesar from Burger King a lot more often. I haven’t had a salad from McDonalds before; I usually get mine from Wendy’s. I don’t associate them with salads, but it’s one of the only places I go for coffee drinks. I LOVE McCafe hot drinks. Yes I have tried a few of their salads and thought they were pretty good. Normally I am pretty bad when I order from there lol. 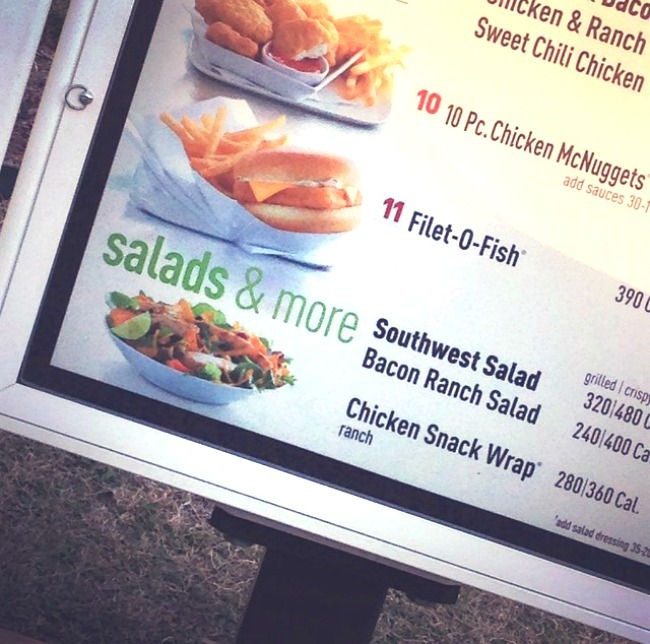 I will have to try this salad the next time I drive thru McDonalds. Adding chips to salads was a new thing for me, but doesn’t it make the salad that much more fun! I rarely go to mcdonalds unless for ice cream, but I will keep there salads in mind! I’ve never tried their salads but I might have to! This looks super yummy! That’s one thing I haven’t tried at mcds. The salads. However thus does really look good! I may have to give them a try! I don’t eat fast food often but next time I am at McDonald’s I will try this salad. It looks really good and it’s a much better choice than a burger and fries. The only bad thing about a 520 calorie salad for me is that it would only work if it were a late dinner. A lot of the calories come from the dressing at those tortilla strips. They could stand to add some more vegetables and a bit more chicken. If I were to have this for lunch (and I have) I am hungry a few hours later. So, that 520 calorie lunch just turned in to 700. They do have other things on the menu that have similar calories. That said, this IS a good option if that is all that is available to you. Like, if you are eating and McD and your family is gorging away on burgers and fries. Last time I was there I got the Fruit and Yogurt Parfait and the fruit and walnut salad. Low calories, good protein and a lot of staying power. For breakfast I love their oatmeal. I eat that for breakfast once in a while about 8 and I don’t get hungry until 2ish. I try to stay away from fast food altogether, but sometimes, it isnt up to me or my schedule calls for something else! My dietitian always told me just to do the best you can with the options you have and follow the 80/20 principal. 80% eat good and leave 20% for the wiggle room. I haven’t eaten Mc Donalds in about 8 years and had no idea they made salads! Looks tasty!!! I have had so many of these salads that I have lost count. They are always good and always easy. Winner! I must say I enjoy a good salad. These look scrumptious. Wow, that salad looks delicious and healthy! I hope it also becomes available to our local McDonald’s chain. I don’t really get into salads much as I used to. However, that salad looks really good! I actually refuse to eat at McDonalds.. but I’d love to try making something similar at home! I think it still looked pretty good, even after getting it home. I haven’t ever tried one … I’ll check to see if they’re sold in my area. I eat their salads a lot. They’re SO easy to grab on the go!